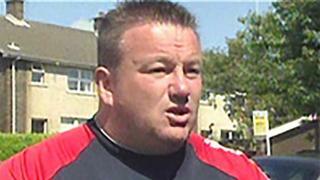 A 23-year-old man has been arrested by detectives investigating the murder of high-profile loyalist George Gilmore. A 32-year-old woman arrested earlier on Sunday has been released. The PSNI also carried out a search connected to the murder and an ongoing loyalist feud in the Trailcock Road area. Two men have appeared in court charged with murdering the high-profile loyalist. Brian Roy McLean, 35, of The Birches, Carrickfergus, and 28-year-old Samuel David McMaw, of Starbog Road, Kilwaughter, appeared at Laganside Court on Saturday. There was no application for bail and both were remanded in custody.